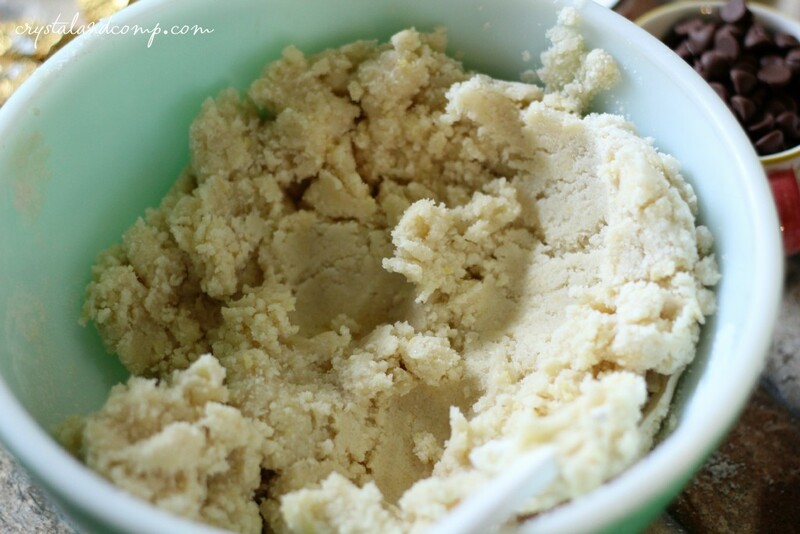 Making homemade sugar cookies is so fun this time of year but have you ever thought to take the sugar cookie dough and turn it into something else? 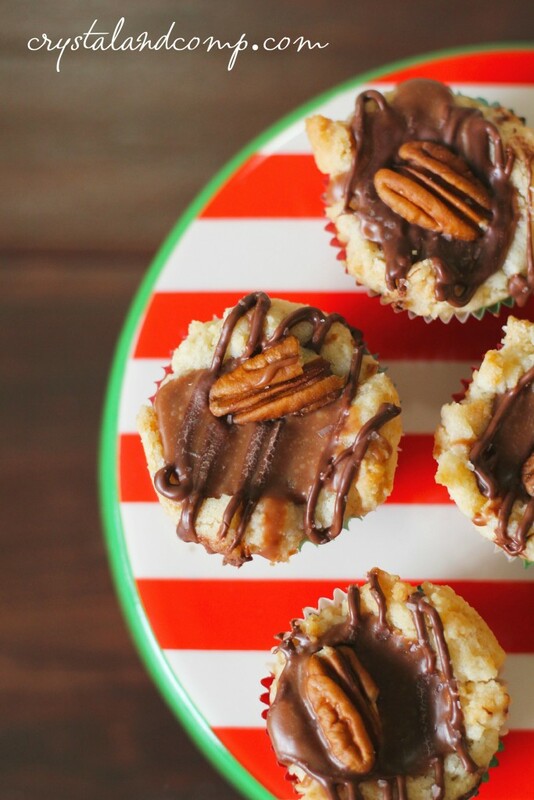 These turtle sugar cookie bites are out of this world! Let me show you how easy they are to make. 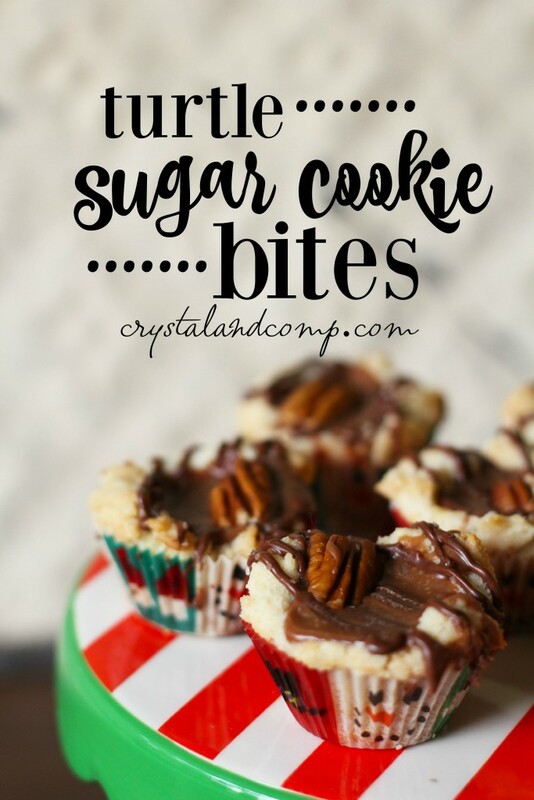 They are perfect to take to your holiday party, share with co-workers, make as teacher gifts, share in the cookie exchange, or make them just because. 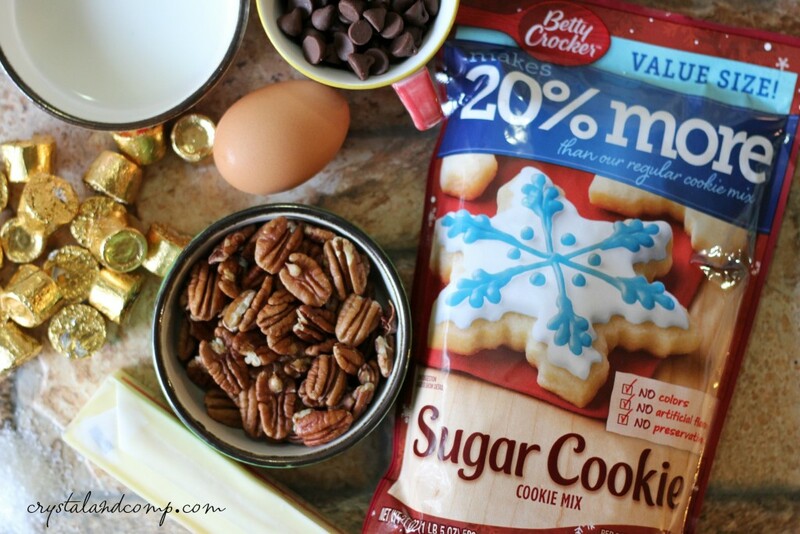 Make sure you check out all of our easy Christmas cookies while you’re here! In a medium size mixing bowl, mix the softened butter, egg and contents of the sugar cookie mix. This is going to make a soft dough mixture. If you feel like it is just not mixing well, keep going. It should look like this when well combined. 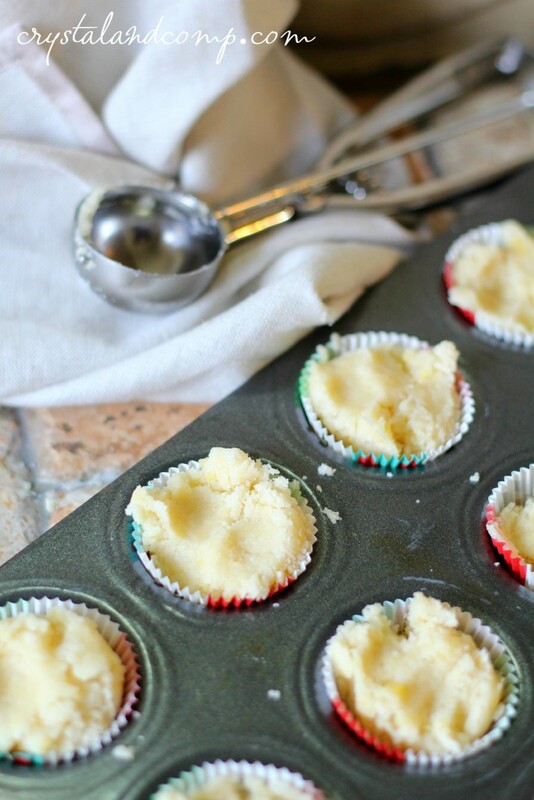 Line the mini cupcake pan with mini cupcake liners. Use a melon baller, if you have one, and scoop a spoonful of dough into each cup. Bake them in a 350° oven for 9-12 minutes. 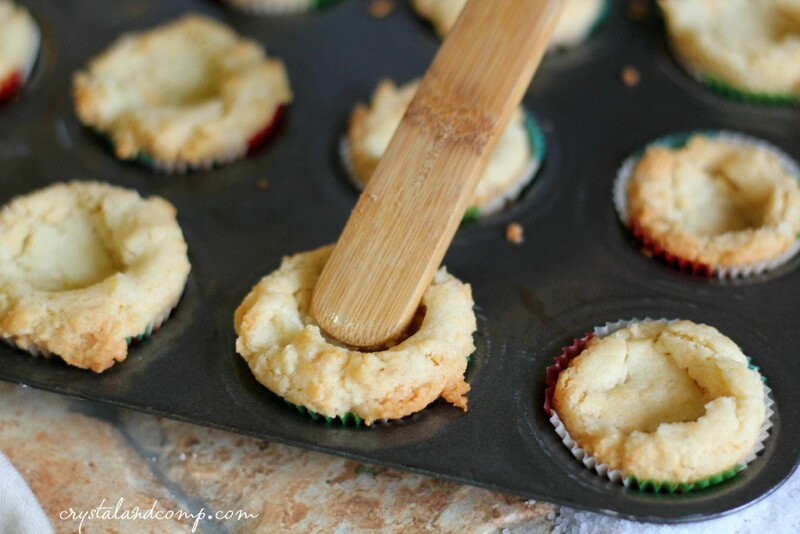 When the cookie bites come out of the oven, immediately take the end of a wooden spoon and press and indention into each cookie bite. While they are cooling grab another medium size bowl. Add the 36 ROLO® caramels and the milk. Put the bowl in the microwave for 30 seconds on high to melt them. 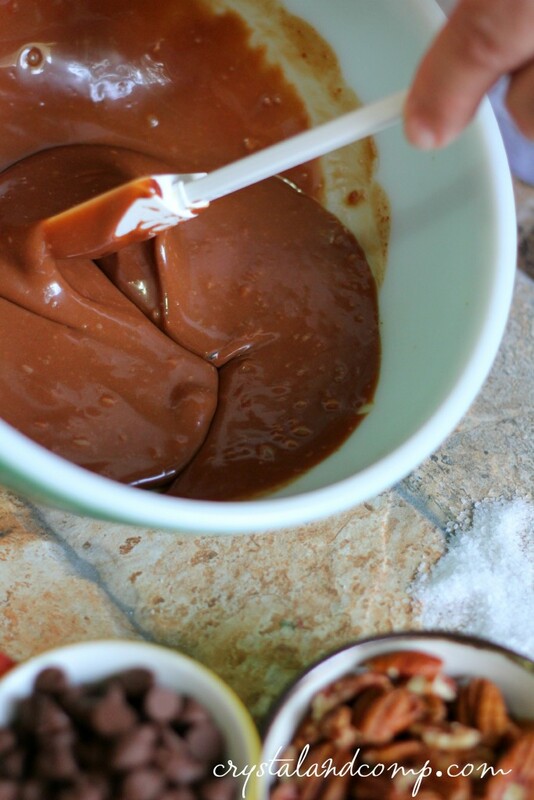 Stir the melting caramels and milk until smooth like the picture below. 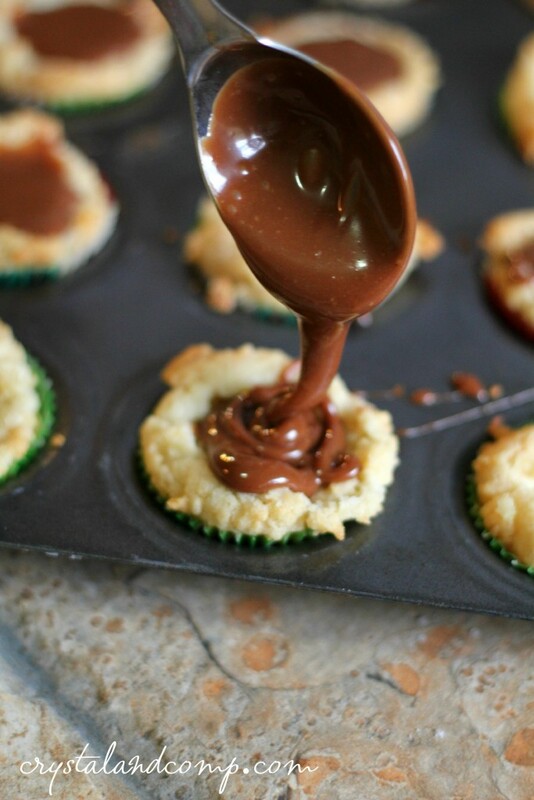 Once the cookie cups are cooled, spoon some of the melted ROLO® caramels into the well you’ve created within each cookie bite. Next, take the chocolate chips and melt them in the small microwave safe bowl. They should melt on high after 30 seconds. Once melted stir. Place this melted chocolate into a ziplock bag. Cut one of the corners off of the bag to make a homemade piping bag. Slowly drizzle this onto each cookie bite over the melted ROLO® caramels. 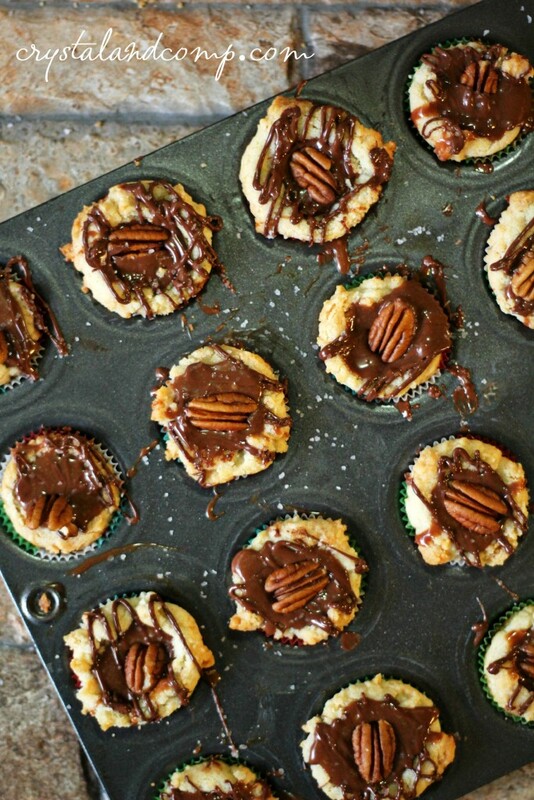 Place one pecan half in the middle of each cookie cup. Sprinkle the cookie cups with the sea salt (or Kosher salt). And there you have it. 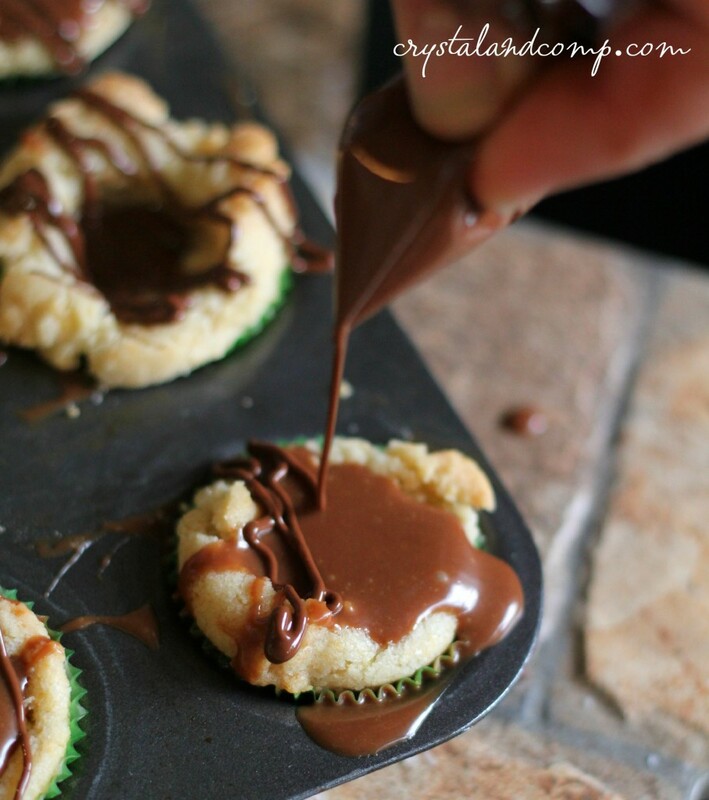 These treats are so easy to make and simply delicious. How are you spreading holiday cheer this Christmas season?